Watch hundreds of videos from top performers from around the world featuring oboe, bassoon, mixed ensembles, and archived live videos from past IDRS conferences. Catch up on current and past IDRS publications! 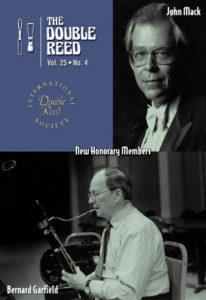 Read decades of publications with helpful articles by top artists and educators, oboe and bassoon pedagogy, news of interest, and ads for international double reed and instrument suppliers. 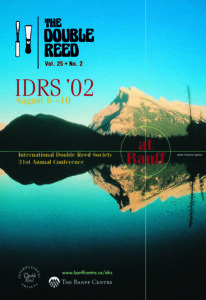 Connect with other IDRS members on any number of topics. Ask questions, share your expertise, and join the conversation with professionals, amateurs, and students in our double reed community. Members have access to members-only sections of our website which includes double reed forums, concert videos, articles, and more! 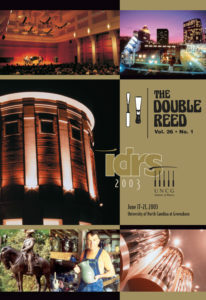 Plus, gain access to our renowned print publication, The Double Reed. Join a network with other members, a true community!